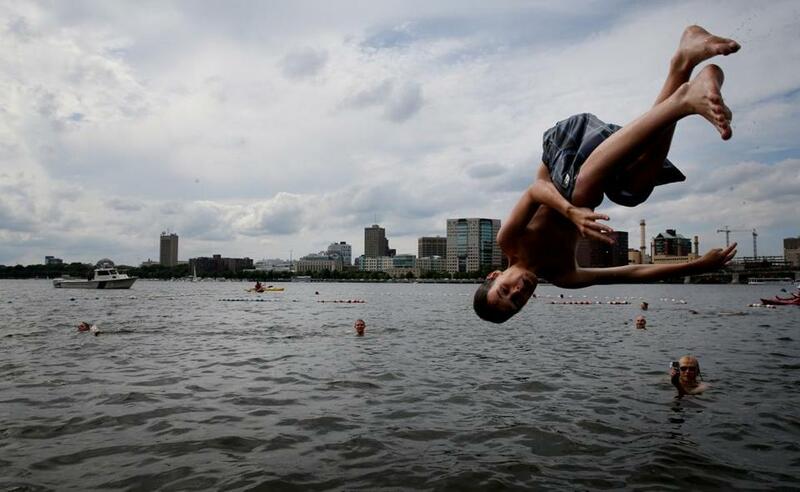 A swimmer took the plunge at a 2015 CitySplash event at the Charles River Esplanade in Boston. The dual swimming event in the river, which received an “A-” grade for bacterial water quality from the Environmental Protection Agency in 2017, is a partnership between the conservancy, the swimming club, and the state Department of Conservation and Recreation. In 2016, the nonprofit unveiled plans for a floating dock at North Point Park, near the Zakim bridge, so swimmers could jump into the river more than just once a year. The project is still in its early stages, however. Registration for City Splash will begin in May, officials said. Sign-ups for the 1-mile swim opens Thursday, March 21, and is capped at 200 swimmers, according to event details. Participants may sign up for both events.